KGK Digital is a small digital marketing and design company specializing in helping you produce and market the foundation of your brand and business with agency quality work without the agency high prices. We work with all types of clientele and their budgets in a wide range of styles offering affordable solutions for individuals, small companies and larger corporations. A profound digital presence is vital for any contemporary brand and an ability to navigate, harness and thrive in our online universe of search engines, social media and online advertising is essential. KGK Digital understands this important principal and is dedicated to helping our clients market and sustain themselves in this ever-changing digital world. Designer, Entrepreneur, Artist, L.A. native, obsessed with Paddle Surfing and SUP Instructor, Kyle has been designing in digital media creating websites, brands, marketing campaigns and much more for nearly two decades. 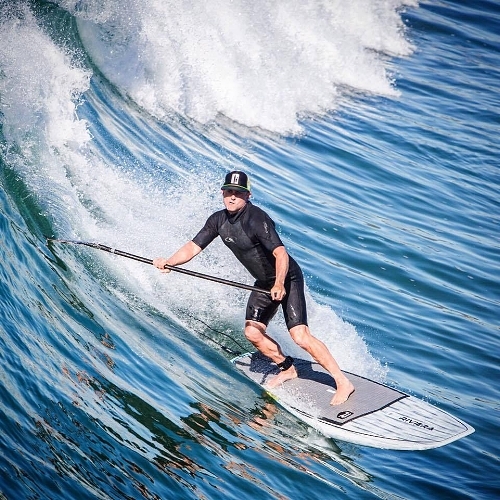 When he isn't glued to his MAC designing or meeting with clients, you can most likely find Kyle paddle surfing in Venice Beach or teaching people how to standup paddle in Marina Del Rey. Marketing guru, equestrian, horse trainer, scrupulous proof reader, foodie chef and wonderful wife, Kirby is an SEM expert and accomplished digital marketer. Kirby has worked with dozens of companies in a wide variety of fields to successfully craft and manage their digital marketing campaigns. Kirby takes great pride in working with her clients to help improve their digital presence, grow their sales and achieve their ROI goals. When she isn't keeping Kyle in line or helping her clients to succeed online, you can usually find her with her beloved horses teaching children to ride, compete and succeed as little equestrians. Contact KGK Digital now to schedule your FREE 30 minute phone consultation.